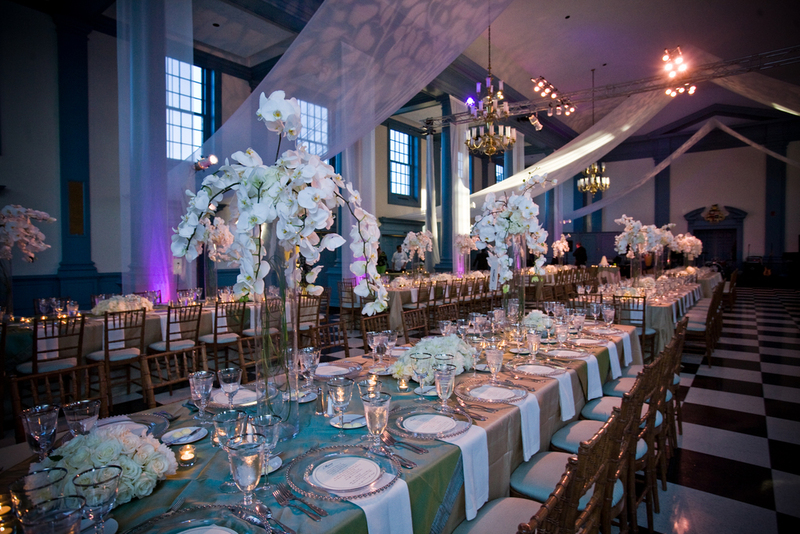 Great lighting is integral to the work we do and to the events that we produce. One group of lighting fixtures that we frequently use is the Chauvet Rogue R2 series! Featuring the R2 Wash and the R2 Spot, this series that debuted in early 2014 delivers upscale performance and advanced features that were previously unheard of at its price point! The Rogue R2 Wash features nineteen 15-watt quad-color LED's, five zones of LED control, a unique lens design that allows for smooth color blending, and six distinct dimming modes. It also brags an industry-leading zoom range of 12°-49°, giving it the spread to cover very large areas. The Parnelli Award-nominated Rogue R2 Spot also features high value and a range of colors and effects, along with its 240-watt LED lamp. It employs gobo-morphing technology and two variable scrolling color wheels to allow for an unlimited number of shape-changing and split-color effects. It also has a 3-facet rotating prism, motorized focus, iris control, and a frost filter. Welcome to our eighth installment in our Transformation Tuesday series! This month, we'd like to take a look at a specific venue that we work with frequently and that has been the setting of several beautiful weddings we've recently helped to produce. 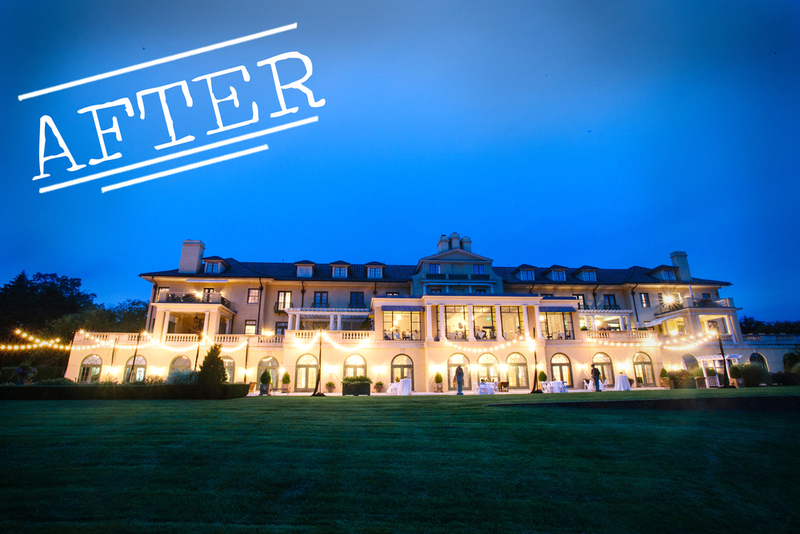 Keswick Hall is an impressive 48-room mansion set within a 600 acre property here in Charlottesville. 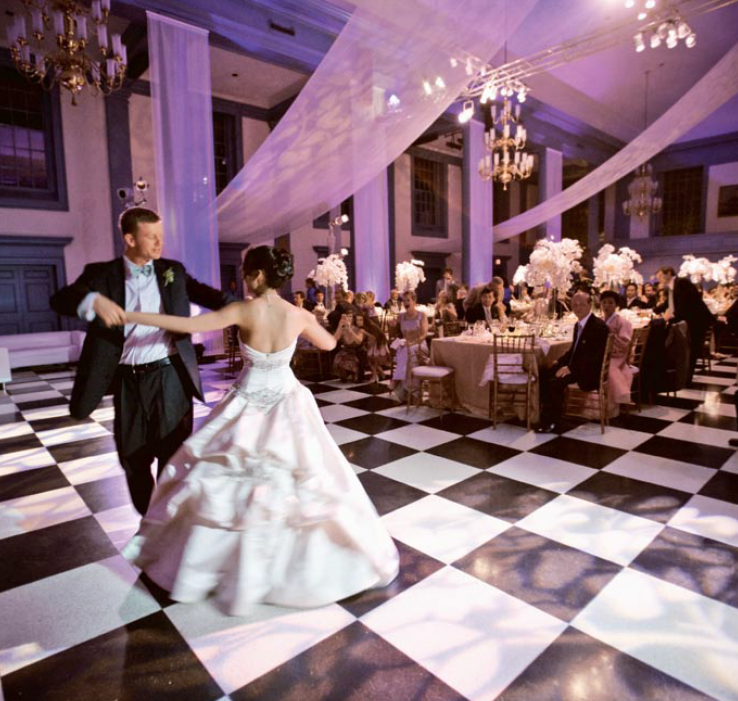 This gorgeous estate, originally built in 1912, is a fantastic venue for events ranging from weddings, corporate gatherings, retreats, et cetera. 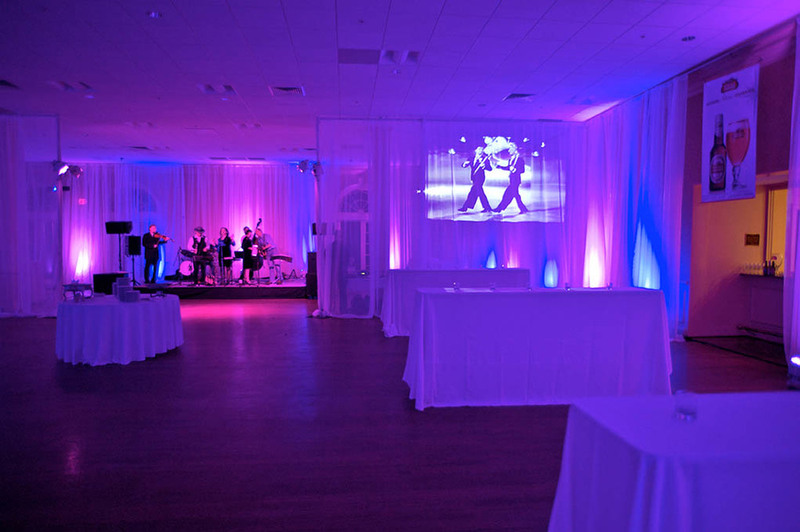 Take a look at how we've recently transformed some of Keswick's event spaces using bistro lights, colorful interior uplighting, and fun custom gobos! We are in full swing this season with lots of fantastic events coming up! As we continue to challenge ourselves to provide innovative solutions for our clients, we find ourselves focusing on how to use our tools in new ways to produce interesting and exciting environments. One such tool that we often make use of is fabric. As a relatively simple element, fabric's uses are often underestimated. 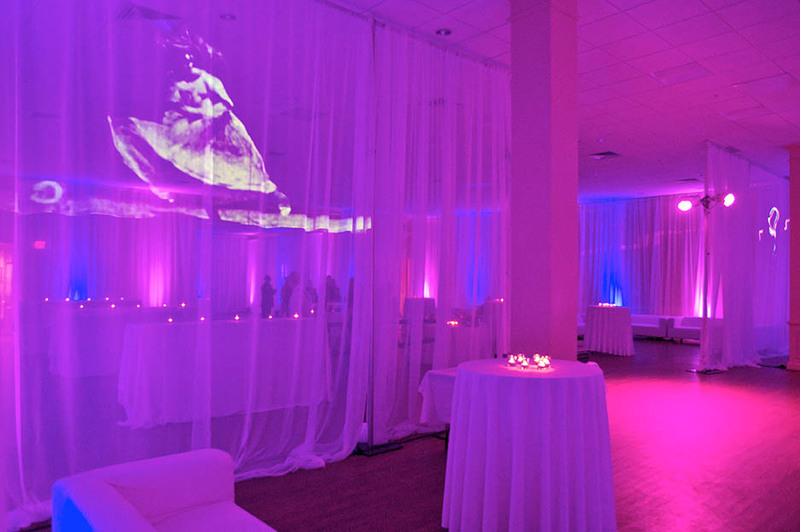 But when combined with lighting or projection content, it can often lend transformative properties to an event space.